Free knitting stitch pattern tutorials, K4 P4 checkerboard knitting pattern, knit stitch patterns for beginners. This is a great knitting stitch for beginners. 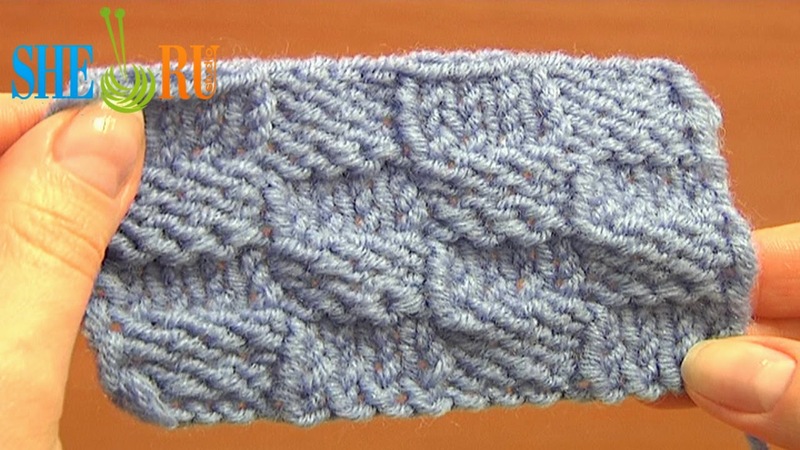 To work this stitch pattern you just need to know how to knit the knit and the purl stitches. Easy and fun to knit this stitch pattern is great for a scarf, a hat, a blanket or a bag. Follow this tutorial and see how to work K4 P4 checkerboard stitch and the same way you can modify this stitch to the larger or smaller squares. Happy knitting! Stitch was made with Crochet Hook 2.25mm (which is #2 US standard) and with yarn: 55% Cotton, 45% Poly Acryli, 160m/50g.